The perfect combination of art and nature originated from a foreign art movement in the 1960s and 1970s. Artists create with natural landscape and natural materials, which is a combination of art and nature. 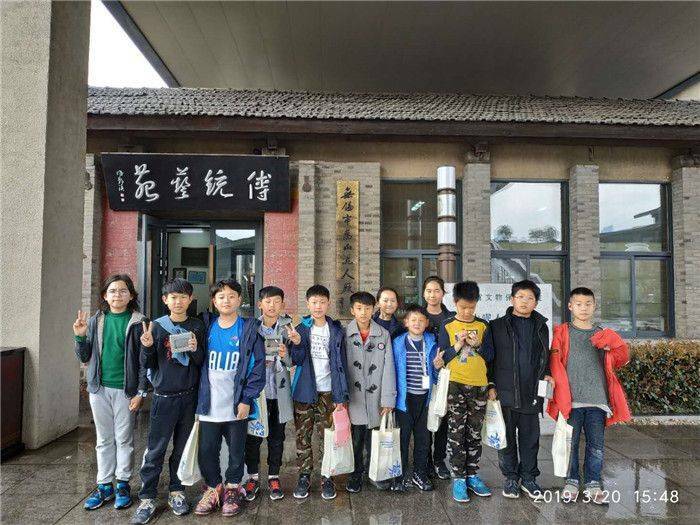 In order to better stimulate children's enthusiasm for inquiry and enrich the form and connotation of PYP classes, teachers and students of grade 2 and grade 5 from Wuxi Foreign Language School International Curriculum Cente arrived at Wuxi Hui Shan Clay Figurine Factory by bus, in an effort to research the natural art form of Wuxi, experience how local artists create clay figure art with unique natural materials, and understand the function of clay figure culture in social development and cultural inheritance, their anticipation. 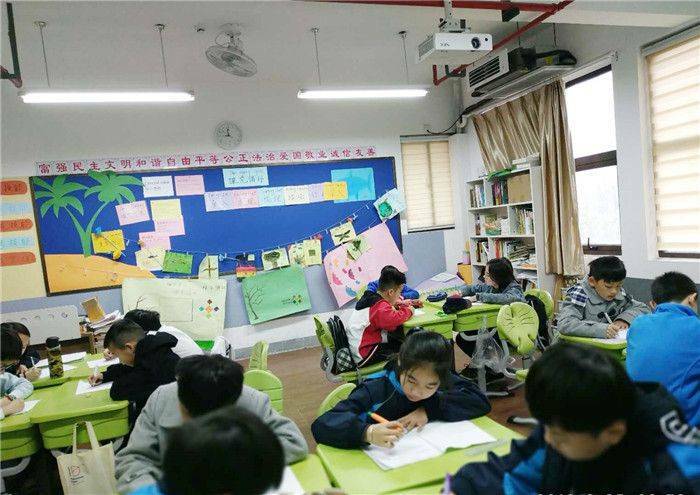 Inquiry courses mainly focus on the six transdisciplinary themes this semester, which adopts the teaching mode of teacher cooperation, and insists on the exploration method of combining diversified learning and practical activities. The theme is that how we express ourselves from Grade Two. The central idea is that through the arts people use different forms of expression to convey their uniqueness as human beings. The lines of inquiry: 1. the diverse ways in which people express themselves 2. How everyone can express their uniqueness through the arts 3. the role of art in culture and society. Students have quested for it. What is art? How could we express ourselves by art? What about the localized form of art? 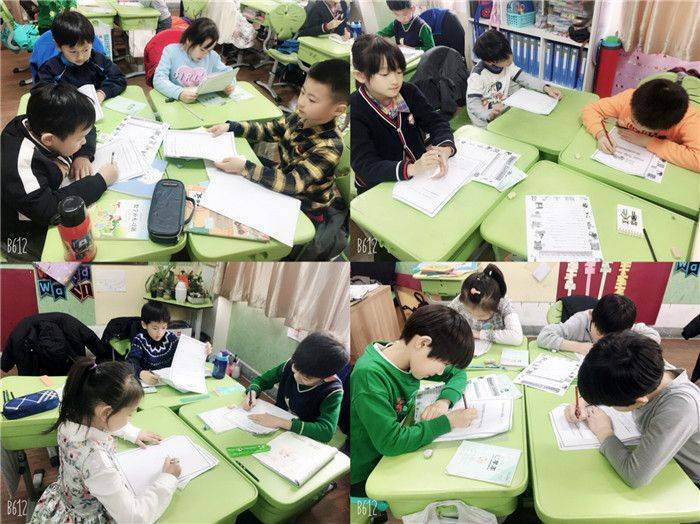 They recorded their thoughts and doubts in detail, anticipating to deal with their questions through this activity. 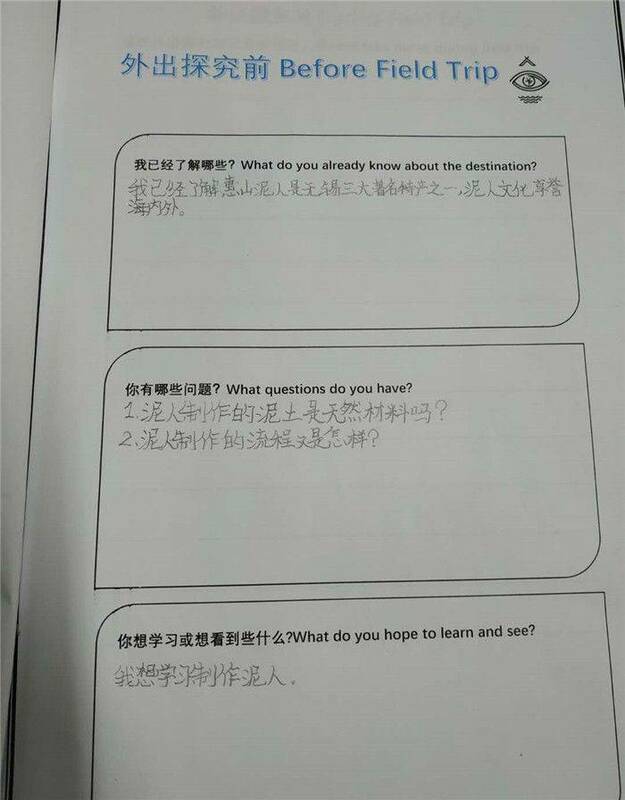 The theme is that How the world works from Grade Five. The central idea is that natural materials can undergo changes that may provide challenges and benefits for society and the environment. They think in terms of the lines of inquiry which included societies take advantage of the properties of materials and conditions that cause reversible and irreversible changes in materials. 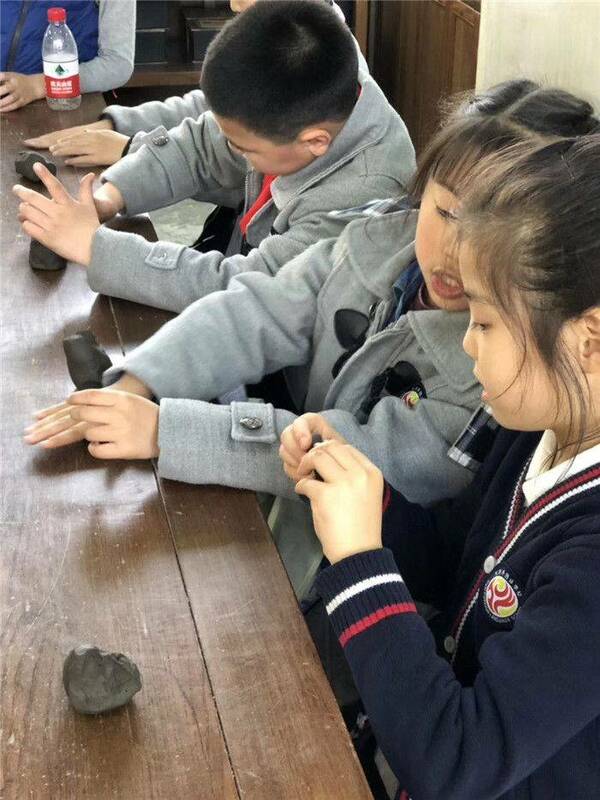 They had questions about the special properties of native clay figurines. 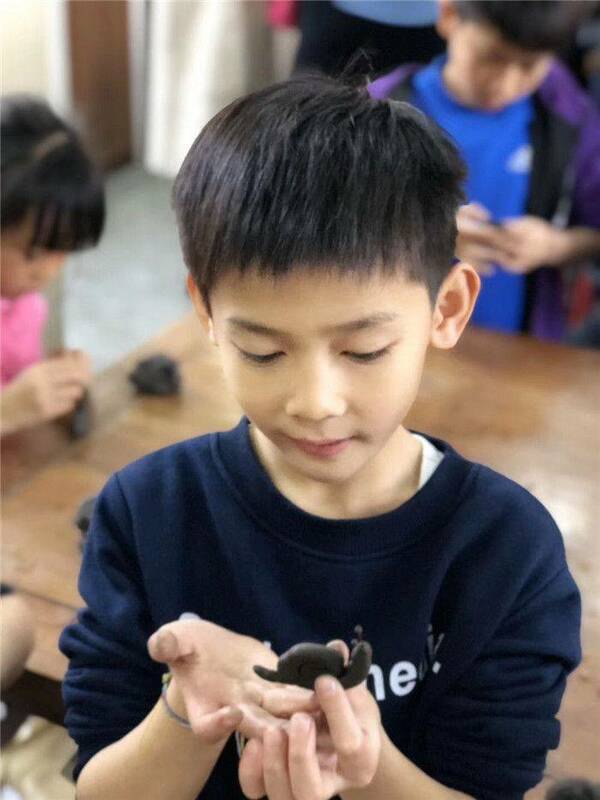 Are the materials used to make clay figurines natural? 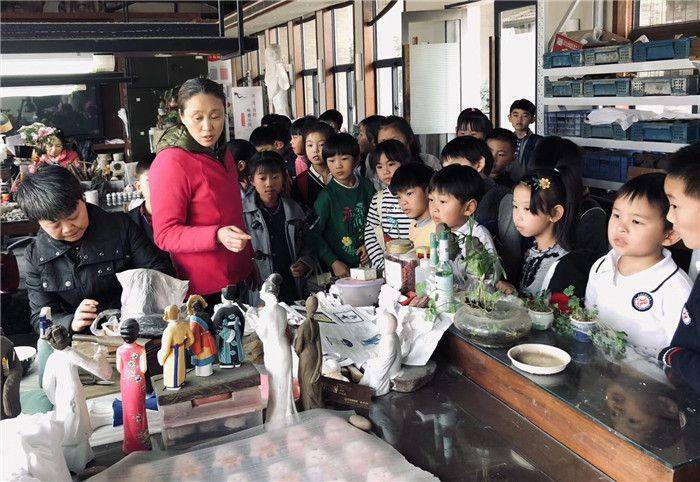 What is the process of clay figurine making? How did they create the well-known clay culture? They are expecting the activity with their doubts and curiosity. 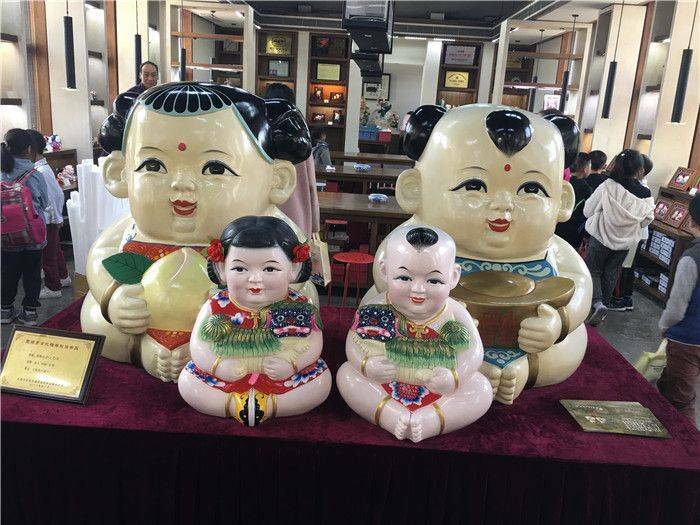 Hui Shan clay figurines are one of Wuxi's three most famous specialties, which have a long history. 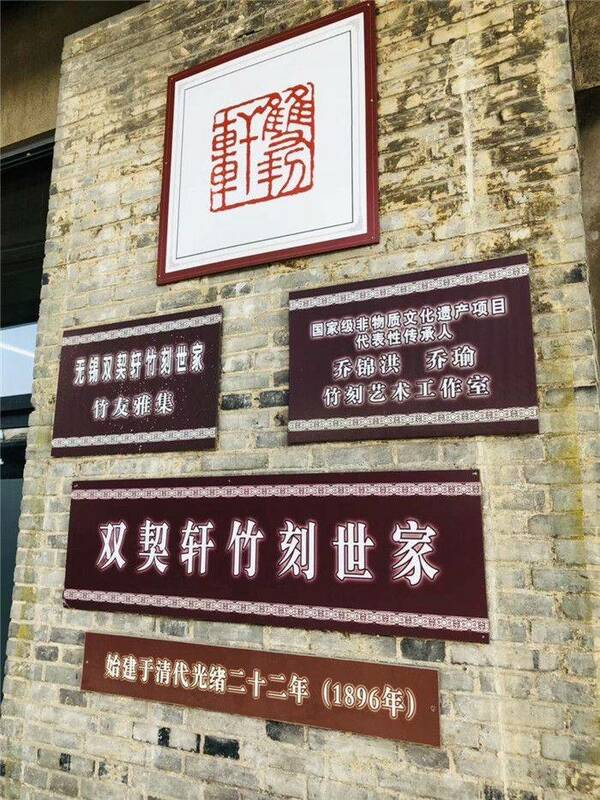 It began in the Ming dynasty and flourished in the Qing dynasty. 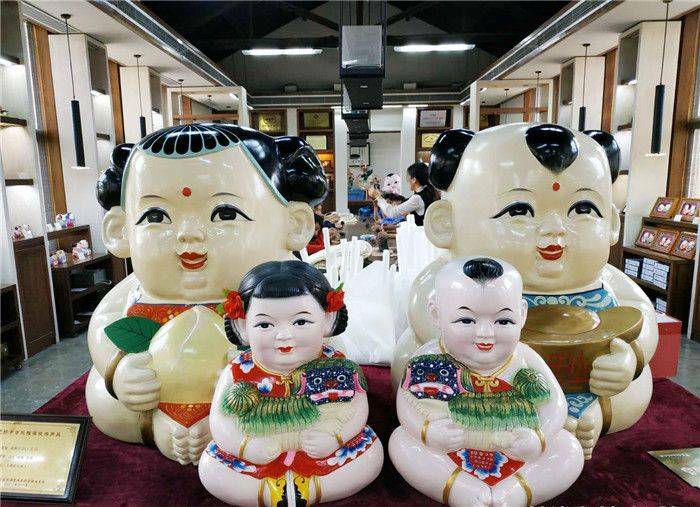 It has a history of 500 years and is a famous Chinese folk art according to the record. 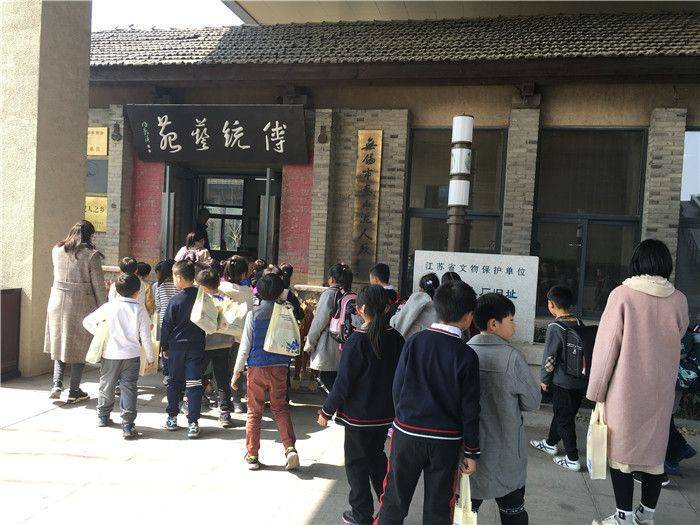 As soon as the students arrived at the gate, they were attracted by all kinds of honor signs of clay culture. 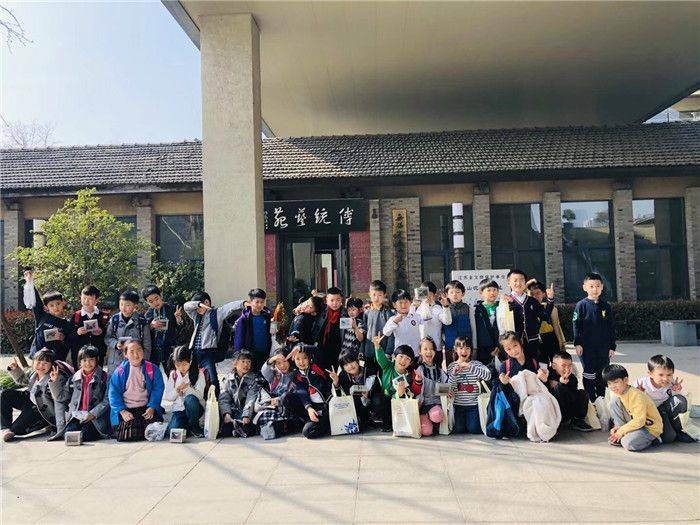 In order to have an intuitive image and feelings, grade two, teachers and students of Grade Two and Grade Five took the students to visit the clay figurine statue of Wuxi clay factory. 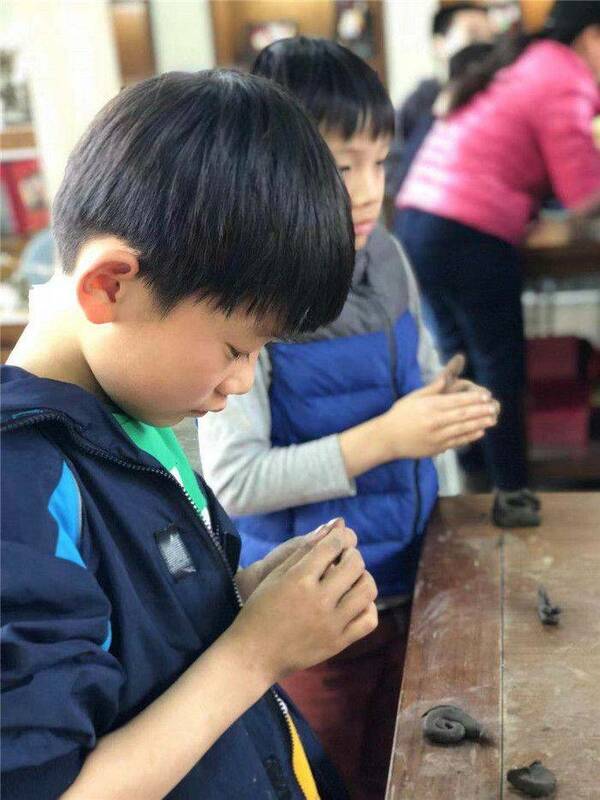 The students first appreciated the numerous clay figurines when the commentator introduced the dazzling and lifelike Clay figurines. Masterpiece of clay figurine is "a fu". It is the lovely image of two lovely children who are deified. It is said to ward off evil and bring good fortune. The students listened with great interest, staring at the mascot in front of them. It’s the spot operation practice link. 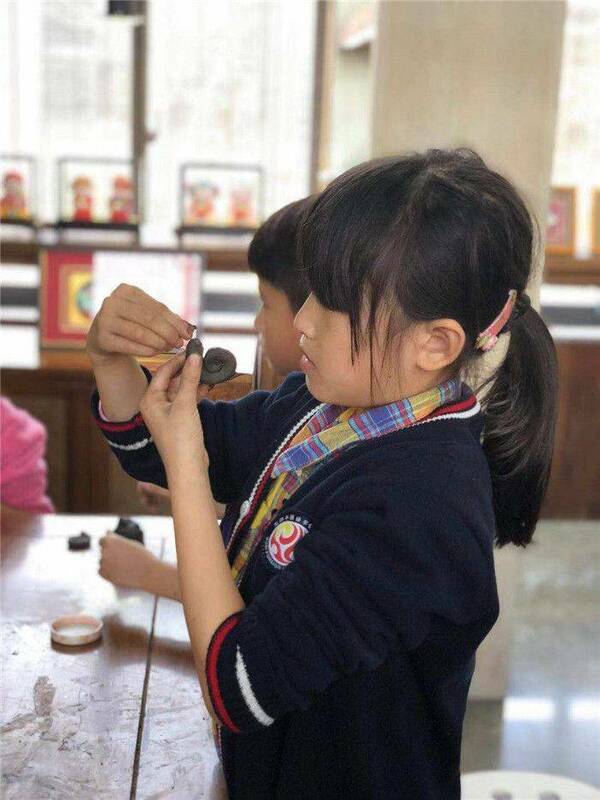 The workers divided the children into small groups and made clay snails. The children looked at the black mud curiously and wondered how it was different from the mud we usually see. Are these natural materials? 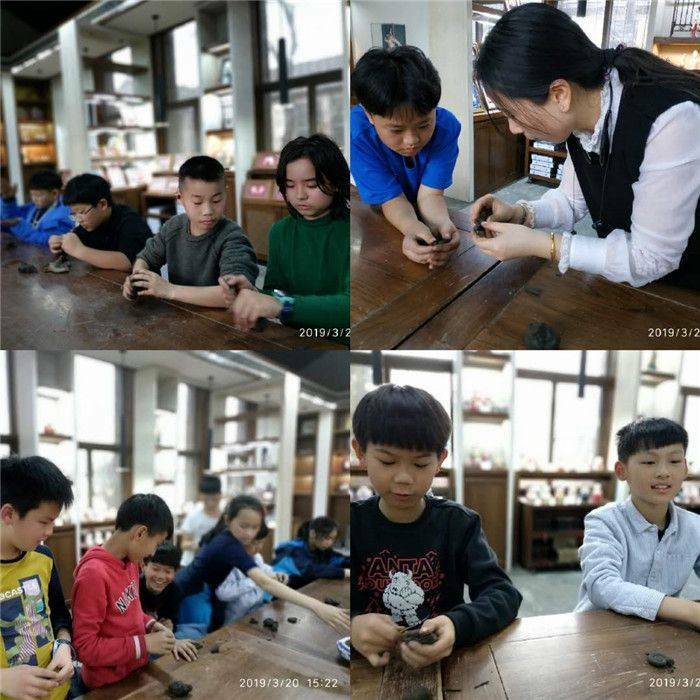 The explainer explained that black mud is the raw material of Hui Shan, which is taken from the Hui Shan area. 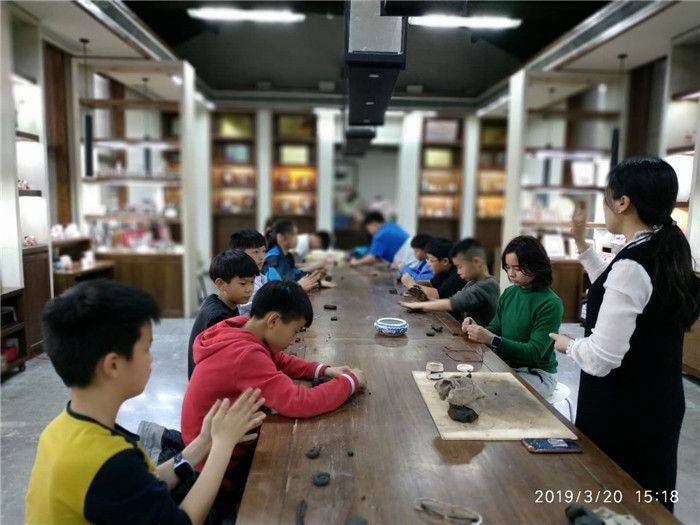 It’s about one meter below the ground, and the thickness is about two meters, the clay is suitable for "kneading" because of its soft and plasticity, it could be rubbing without wrinkles, bending and constantly, and dry without cracking. 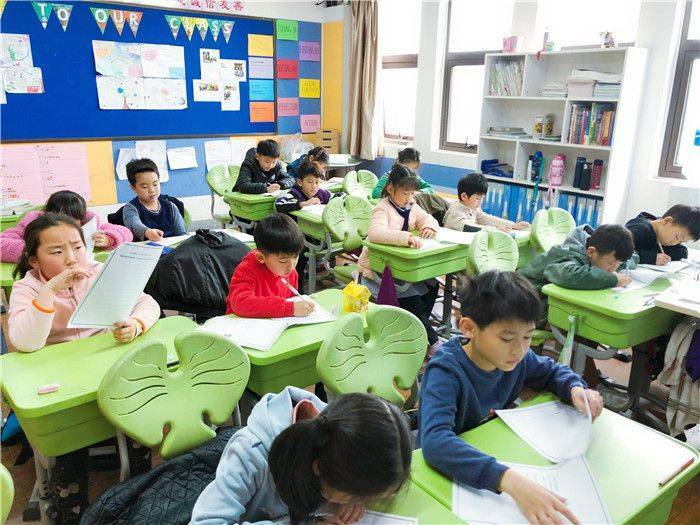 Commentator demonstrated and explained, and the students focused carefully, some independent completed independently, some cooperated by groups. They made the small snails really lifelike! 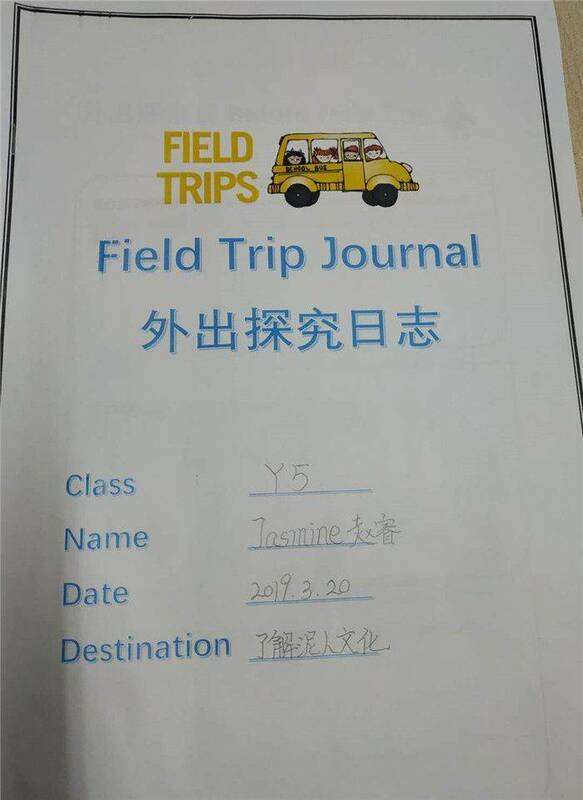 The students took photos of their achievements ceaselessly. 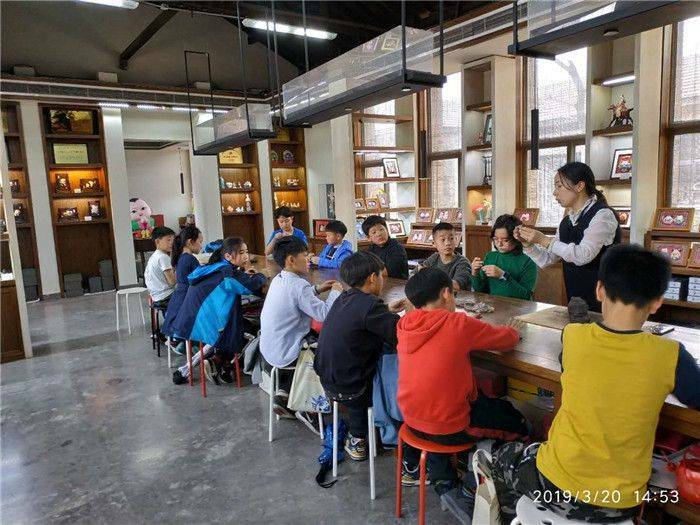 Through participating and discussing the clay figurines in groups, the students knew how to skillfully use the unique natural material resources and how to nurture the exquisite and brilliant folk art treasures. 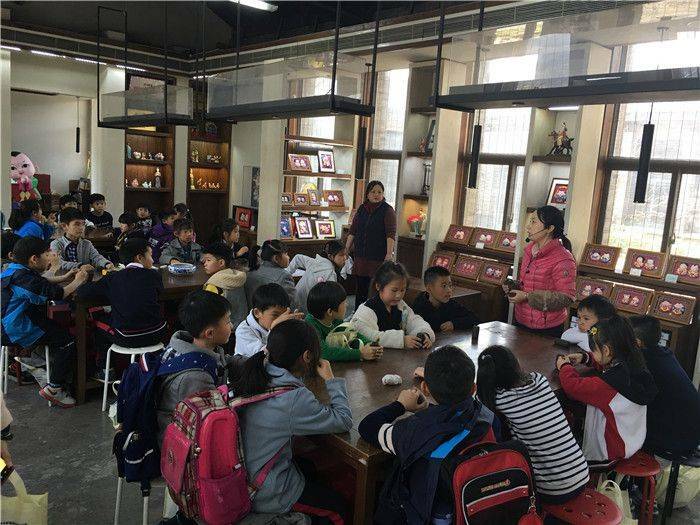 They learned about the role of clay figurines in culture and society, they also got the information about the production techniques, materials, historical and cultural background of clay figurines. They mastered how to use art to express their uniqueness.